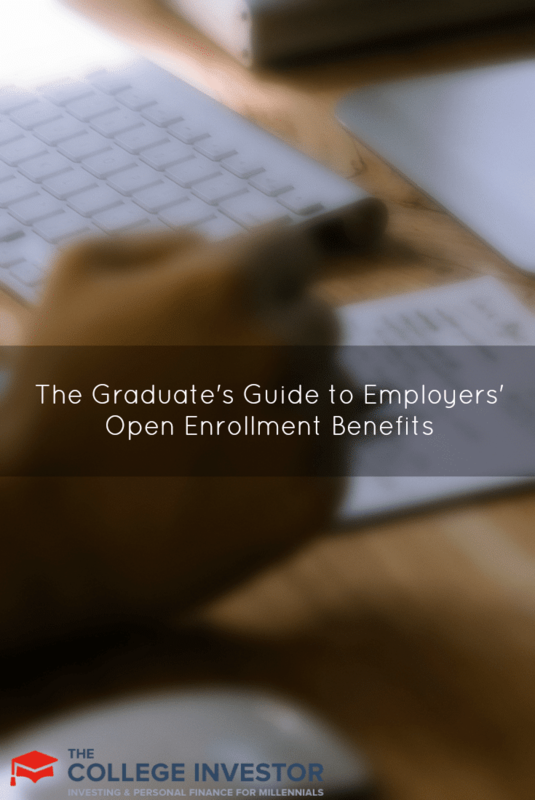 For many employees, November and December are the months for open enrollment, which means that it is the only time of the year that an employee can elect to enroll, modify, or cancel their benefits. This is a challenging time because you have to make a lot of decisions that are guaranteed to impact you for at least one year, and could impact you for the rest of your life should something happen. The biggest decision you will most likely face is what type of health insurance coverage is best for you. Also, you could be deciding whether you and your spouse should double-cover each other. You may also have the options to enroll in short-term or long-term disability, dental insurance, vision coverage, different types of flexible spending accounts, legal, and many other types of options. To top it all off, most companies give you one week to enroll, and only get you the coverage information about a week before that! Also, it is important to note that some employers only offer some options to those who elect it the first time. For example, you may only be offered supplemental life insurance and long-term disability insurance the first time you are eligible. If you do not elect to have it, you may not be able to enroll again unless you have a “status change” such as marriage, baby, etc. Well, here is a guide that will hopefully help you navigate through these difficult decisions. Deductible — This is the amount that must be paid before the insurance company pays. Some plans waive the deductible for wellness visits, flu shots, etc. Co-Insurance — After the deductible has been met, you enter into co-insurance. This is how the bill is split between you and the insurance company. A common split is 80/20, where you pay 20% of the bill, and the insurance company covers the remaining 80%. Many HMOs do not do co-insurance, you only pay your deductible. Co-insurance is very common with dental insurance. Out-of-Pocket Maximum — This is the maximum you will pay out of pocket each year. Make sure you find out whether deductibles and copays count toward your out-of-pocket maximum. Some plans offer this, but many do not. Network — A group of providers, hospitals, etc. that you must use to get the best rate. An HMO usually utilizes a copay for all services (a deductible). This copay covers all services rendered during the visit. So, if you go for a physical, this will usually cover the labs, the doctor visit, etc. If there is co-insurance required, it is usually for hospital stays or advanced medical care. HMOs usually fully cover all basic services with the copay. Pros: HMOs offer great basic coverage with less out-of-pocket costs during the year. Cons: Fewer choices in hospitals and physicians, as everything must be in-network. A POS plan is an HMO plan that also includes an indemnity plan that allows you to go out of network if you choose. A PPO plan almost always has a deductible and co-insurance. If you stay within the network for basic services (like a physical), there are also copays, but not a deductible or co-insurance. With PPOs, however, copays are usually not all-inclusive. It might cover seeing the doctor, but might not cover the lab tests. With a PPO, there is an indemnity plan that does allow you to see any doctor you wish, but the costs will be higher. Pros: PPOs provide a huge number of choices when it comes to doctors and hospitals. Cons: Coverage is not as comprehensive as an HMO, and the out-of-pocket costs are usually higher. This is the most basic type of health insurance, and it is what most young adults get to get by once coverage lapses from school/parents until they get coverage through their employer. It is also sometimes known as catastrophic coverage. It includes a high deductible (usually $500+), and some type of co-insurance to a point (typically $5,000 to $10,000), at which point the insurance covers the rest. This plan is designed as a last resort, as you would not go get a physical for a $500 deductible. Every PPO and POS plan includes this. Pros: Coverage remains the same for any doctor or hospital seen. It’s ideal for last resort coverage to get by until a full health insurance plan is available. Cons: The cost is extremely high should a doctor be needed. An HSA is essentially two different things: a tax-deferred medical savings account and an indemnity-like health plan. First, you contribute pre-tax dollars to a medical savings account. If this money is used for medical costs, the money is never taxed. If you do not use this money, it becomes like an IRA, and at age 65, you can withdraw the funds without penalty. As for the health plan aspect, it is like an indemnity plan in that it has a high deductible, but a low premium. There are usually no networks. This plan is ideal for healthy individuals looking for catastrophic coverage who want to save on their medical costs upfront. Pros: Low upfront costs, coverage remains the same for all doctors, pre-tax dollars are used. If you’re young and health, you get to save up money for the future. Cons: If a doctor or hospital stay is needed, the out-of-pocket costs can rise rapidly. If you switch to an HSA plan and you don’t have a savings built in, you don’t really benefit from the plan at all. For the recent graduate, if you are healthy, I recommend either an HMO or HSA. If you are not employed, get an indemnity plan as quickly as possible. Double Coverage: If you are married, and both you and your spouse have insurance, you can each get family coverage and cover each other. Depending on the plan, this will usually eliminate your copays and deductibles, and significantly increases the amount that the insurance company will pay in co-insurance. Many companies offer some type of disability insurance. Some automatically offer short-term, but many require you to enroll in it. Both short-term and long-term disability insurance are smart investments because their premium costs are so low, and they can literally save your financial life should you become disabled. Furthermore, the Department of Labor estimates that nearly one in five working adults will become injured on the job requiring some type of leave. This provides a percentage of your salary should injury or illness prevent you from working. Payments generally kick in once you exhaust all employer benefits (such as sick leave). Payments usually average around 40 to 60% of your salary. The duration is variable, but six months is fairly common. This provides a percentage of your salary should you become permanently disabled and unable to earn a wage. These policies usually pick up where the short-term policies end. Some last for 5 to 10 years, but you want to make sure that yours lasts until you are 65. Once again, these policies are great buys! You should always enroll, as they can save you from a world of financial pain! Dental coverage is another one of the best company-provided insurance policies available. It is usually extremely cheap, and it keeps your mouth in working order. Dental insurance usually involves a deductible and co-insurance setup (which is usually 80/20). Dental coverage can also be double-covered with a spouse, so you can sometimes get out of the deductible. Most dental coverage allows you to get your teeth cleaned twice a year, and x-rays once a year. This will keep you cavity-free, and it is well worth the price. Most dental plans will only cost you about $200 per year! Vision coverage is usually supplemental to your traditional health plan choices. If you need glasses or contacts, it is highly recommended that you get vision coverage. It is like dental coverage in that it is usually very cheap. If you get one prescription per year, you usually come out ahead by having vision coverage. If you have great eyes, congratulations, you can skip this one. A fairly new option available to employees is the flexible spending account. There are flexible spending accounts for healthcare, child care, transportation, and many others. The benefit of these accounts is that you contribute a preset amount of pre-tax dollars per year, and you can use it for the designated reason (i.e., healthcare costs, childcare costs, etc.). Pre-Funding: You have to designate the amount you want to contribute to your FSA during your enrollment period, and you pay into it with your paycheck. The great thing is that on day one of the plan year, you get to have access to the full amount you designated, even though you haven’t paid that amount yet. So, you get a tax-free loan on money. The second great thing is that if you leave the company, you don’t continue to pay in. So, if you spend all your FSA money, the company gave you a small advance as they have to pick up the tab. Use-it-or-Lose-it: The biggest drawback of these plans is that you have to use the full amount during the plan year, or you lose it. This is especially difficult since you have to pre-fund. For FSAs for healthcare, many individuals would simply purchase OTC medication to get their funds out of their accounts. However, effective January 1, 2011, you can no longer purchase over-the-counter medication using an FSA unless you get a prescription for it from your doctor. FSAs are a great tax-savings tool if they are used correctly. I use one every year, but I only contribute a few hundred dollars into it to make sure that I don’t lose it. I find that once you get a couple of years of medical services under your belt, you can use that to estimate how much you will spend on healthcare. If you use a product like Personal Capital, you can keep track of your healthcare costs automatically. Many companies offer other coverages, such as group legal or fitness programs. These can be good deals, but it is important to shop around. You may realize that there are a lot of limitations to the policies and plans that your employer is offering. With all coverage options, be sure to thoroughly read through any materials provided. Also, many employers offer calculators to check the different costs of each plan so that you can see what you will really pay. I hope this article helps you make an informed decision. Please share any thoughts or comments you may have! Hi there- First time reader, but looks like I’ll be back. I’ll be making the switch to a high-deductible health plan with an HSA. It costs less, I don’t use much beyond annual check-ups, and my employer contributes a good chunk, so it’s a bit of a no-brainer in my case. I’m glad to hear that you’ll be back! Thanks for stopping by and commenting! This is a great read for anyone not in the know about all the various types of health insurance coverage and what comes with each. It can definitely help people make an informed choice.